Actually the Dell Inspiron 3521 Manual also for 5521 type. The Dell Inspiron 3521 has physical dimensions of 14.8 x 10.1 x 0.98 in. It has 15.6 inches HD WLED with Truelife 1366 x 768 pixels resolution. There are 500 GB hard drive and 4 GB of RAM. It's powered by 1.8 GHz Intel Core i3-3217U processor and installed Windows 8 operating system. The laptops is also powere by 4 Cell 40 WHr Battery capacity. 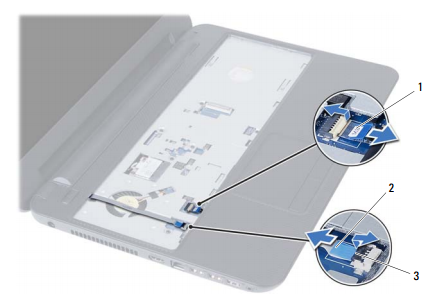 The Dell Inspiron 3521 user manual is available in english language. It's consisting of 94 pages. It's also devided into 39 pages including about flashing the BIOS. Other information of this manual such as Safety Instructions, removing the battery, memory card, palm-reset, wireless mini card, removing and replacing the system board, heat-sink, camera module and more.